Most Melburnians would know what the headline Dogs beat Tigers means, but it would be incomprehensible to most other people round the world. It’s a reference to two football teams, and even I (with a sporting bypass) know from my teenage years that the Tigers are the Richmond team and that the Dogs are the Footscray team. Journalism needs to use familiar words and phrases that people recognise without much effort, to help them get the idea quickly. Journalese, ‘the strange language of news’ enables us to digest the news at speed. OTOH, he says, that clichés encourage lazy thought, and that good stories, told right, in plain English, sell themselves. It shouldn’t be necessary to learn a new language to understand a newspaper. Then LOL he proceeds to provide what amounts to a glossary of terms, in what he calls The Journalese List! 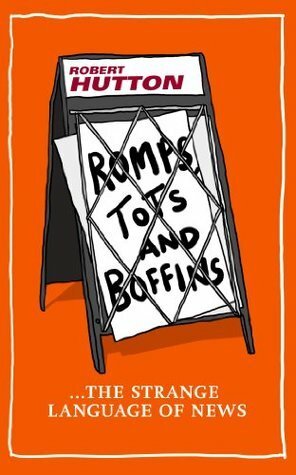 I already knew that tots are very small children, and boffins are scientists, but I had to look up romp: I should have known, it’s code for a sporting term. It means the manner in which one team beat the other team by a wide margin. Is this term in use here in Australia? Don’t we usually use thrash? The section ‘Everyone’s a Critic’ provides a handy list of phrases to use if you fancy yourself as a critic. (*blush* I think I might have used a couple of these myself). There are 10 useful ‘Things that Newspaper Readers Should Know’ towards the back of the book. The number of pages in the paper doesn’t depend on the amount of news. We know this, and IMO it’s good to ask yourself what’s not in the paper when there are six pages about the death of a celebrity. What are we not being told because of some pop culture trivia or some sporting event? There has to be a splash every day. We know this too, but sometimes it’s easy to forget that skilled journalists can get a splash out of unpromising material. IMO Sometimes on a slow news day, you might just as well turn off the TV and take the dog for a walk instead. Not much happens at the weekend. So politicians fly kites, and leakers leak in the hope of getting some coverage. IMO Sunday papers are just gossip mags. Nos 8 & 10 are useful reminders too: If you read The Australian or any other paper owned by the same mogul, then you know that there may be an agenda too, [no matter how loudly its journalists claim to have editorial independence]. And if you can’t find out about something that’s all over the net and on blogs, there may be legal reasons. Well, whether or not this book is a ratings smash or a richly-textured must read, it’s good fun! Thanks, Ros! Source: a gift from my dear friend, Ros Collins, author of Solly’s Girl. Glad you like it! I am reminded of a similar gift I received a few years ago ‘Schottenfreude: German words for the human condition’ by Ben Schott (pub. by Text 2013). Anyone who ‘did’ German at school or college will surely ‘fall about’ with laughter. The foreword states: ‘The German language is sufficiently copious and productive, to furnish native words for any idea that can be expressed at all’ and so Mr Schott gives us made-up gems such as ‘Herbstlaubtrittvergnuugen’ or if you unpick it, ‘Autumn – foliage – strike – fun’ for ‘kicking through piles of autumn leaves’ and – deep breath – ‘Kraftfahrzeugsinnenausstattungsneugeruchsgenuss’ or ‘automobile – interior – furnishing – new – aroma – pleasure’ which describes the smell of a new car. There are copious footnotes and references to enhance this very funny book. LOL I think I recently saw a joke involving one of those very long German words with the caption #Why Germans Don’t Play Scrabble! Sounds like an interesting and enjoyable read Lisa. Re romp, while I think we probably do use “thrash” here, I do know the term “they romped it in” meaning winning by a lot. On a more serious note, I was interested in journalese versus cliches. I’ve been thinking about this quite a lot myself in recent times. It’s a fine line. Brevity and simplicity – particularly in short news reports – calls for “shorthand” expressions that we all recognise but over-use of such language becomes counter-productive. We don’t hear it or, worse, we laugh. How many close-knit communities are there for example? Husband and I find ourselves waiting for that to be trotted out when, in reality, we should be focussing on the disaster at hand. As for reviewing, how tough it is to find new ways of saying things. I try so hard to avoid book review cliches but I know they creep in.